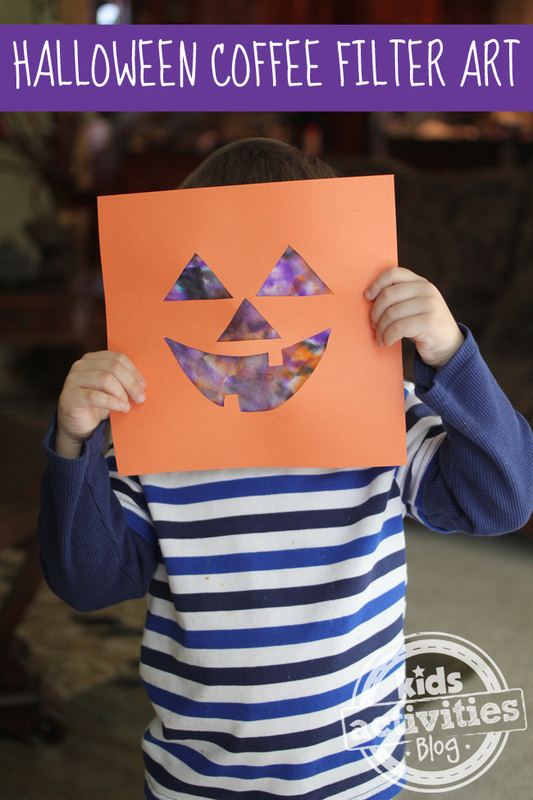 This Halloween art project is so much fun! We love creating tiny works of art to hang on the fridge. It’s not always easy to find one age appropriate for toddlers and preschoolers, but this one is perfect for them! Trace it on a piece of construction paper and cut it out. 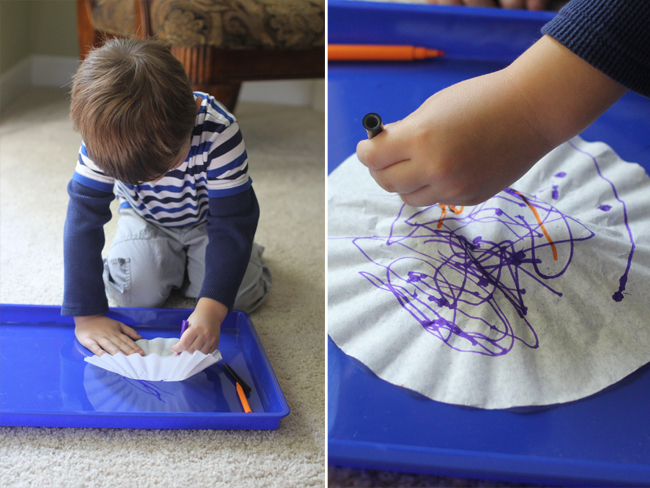 Give your child a few markers and a coffee filter – have them scribble all over. Hand them the spray bottle and let them spray the filter. Watching the colors swirl is so fun! 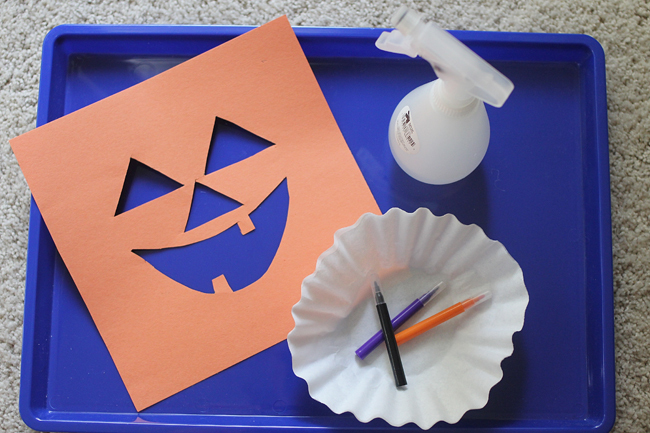 Tape it to the back of your pumpkin outline. The great thing about this Halloween art project is you can do it over and over. You can change the paper color, the outline and the markers and make new art for every season or holiday. The possibilities with this one are limitless! This is super cute! I am going to pin this.